PokerStars for PC - Download now! Becoming a PokerStars player couldn’t be easier thanks to our free to use software and simple download process. Download now and start playing on your PC. We’re also available on a wide range of other platforms, so whether you’re a Mac, iOS or Android user, we’ve got you covered! Click the download button on this page and select ‘Run’ in the subsequent pop-up box. PokerStars will now be downloaded to your desktop. This process may take a few minutes. If a security warning flashes up, select ‘Run’. Once the download has finished, you must agree to PokerStars ‘End User License Agreement’ before continuing. To launch PokerStars, just double click on the desktop icon or navigate to our software through your PC’s Start menu once it’s finished installing. Select ‘Create your Stars Account now’. You will be asked to create a Stars ID (username) and password. Then select ‘Next’ to proceed to the ‘Your Player Details’ section. Enter a valid email address, select your country of residence, and agree to the terms of our End User License Agreement. Then simply select ‘Create Account’! 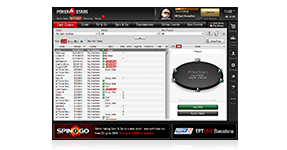 You can find our games in the PokerStars lobby under the ‘All Games’ tab. Use the tabs to select whatever game you want to play and set your limits. To search for specific tables, limits or games, click on your chosen game and then use the filter buttons to define your search. There's never been a better time to start playing at PokerStars. We have the largest selection of online games anywhere, with a poker tournament starting every second. You can play Texas Hold'em, or try other games like Omaha, Stud, Draw poker, Mixed Games, Badugi and much more. You can also play in a selection of languages and currencies by downloading our free software! PokerStars hosts the biggest online poker events anywhere! It's home to the World Championship of Online Poker (WCOOP), the Spring Championship of Online Poker (SCOOP) and much more. It's also where you'll find the biggest weekly online poker tournaments, like the Sunday Million, where you can play for a $1,000,000 guaranteed prize pool! 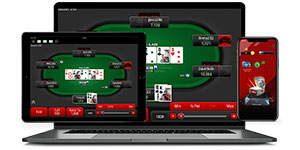 By downloading our software and playing online you can also qualify for PokerStars-sponsored live poker events. Play your way to annual tournaments in glamorous destinations via value-added qualifiers and satellites online. All of this is backed up by the best online software and support team in the game. The PokerStars software download is safe and easy to use, with quick deposits and fast withdrawals, and the award-winning support team is available round-the-clock in a host of languages. 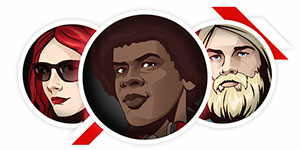 Welcome to the start of your journey: Download the PokerStars software now!